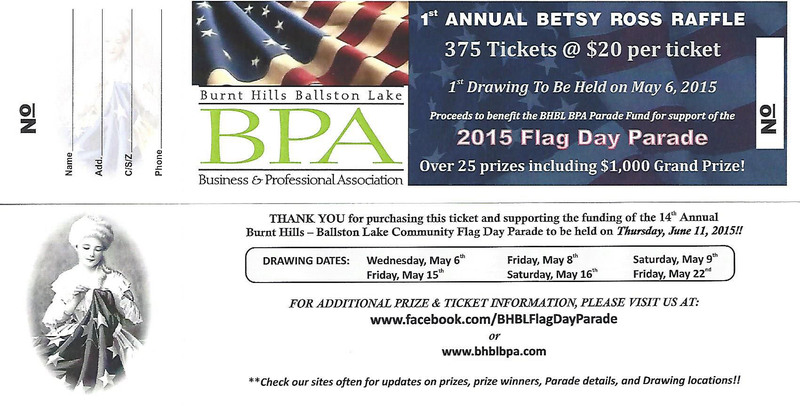 The final drawing for the #BetsyRossRaffle to benefit the BH BL Community Flag Day Parade was held last nigh, Friday, May 22nd from 6-7 pm t at the Growly Scot Kitchen at the Rolling Stone Pub, in Burnt Hills, NY. 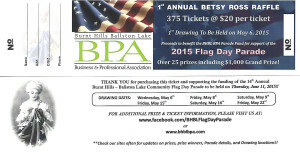 The drawings for the drawing of all 375 tickets for the first annual Betsy Ross Raffle began at the general meeting on May 6th, continued on May 8th, 9th, 15th 16th, 22nd. Many of the winning drawings can be seen on YouTube (#BestyRossRaffle). Congratulations to all 47 winners and to the other 328 enthusiastic support of our Community Flag Day Parade.